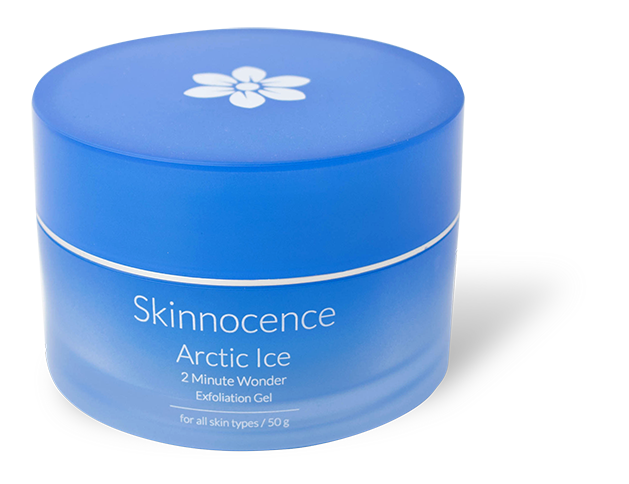 SKINNOCENCE Arctic Ice Exfoliation Gel quickly and gently removes dead skin, dirt, excess oil and debris from your skin, leaving it smooth, clean and bright. 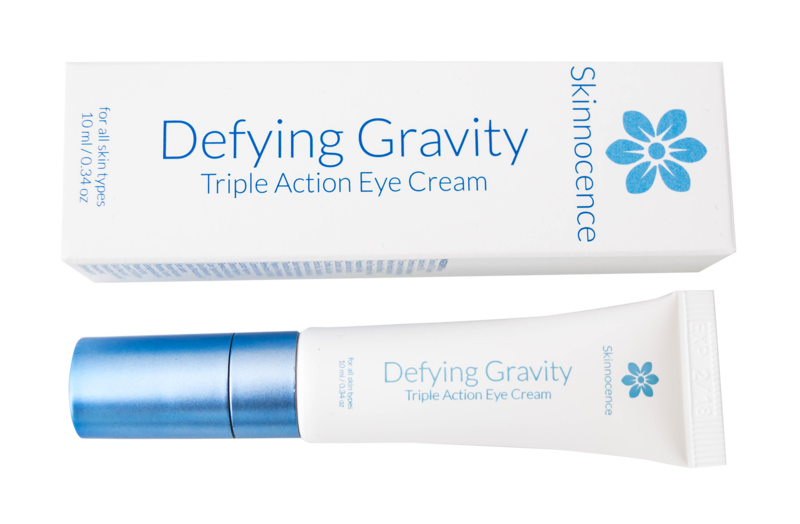 Gentle, non-abrasive and perfect for sensitive or mature skin. STEP 1: Apply a thin layer of Arctic Ice Exfoliation Gel to DRY skin. STEP 2: Allow Arctic Ice to sit on skin for 60 seconds, then rub in a circular motion. As you rub, Arctic Ice will liquefy, adhering to dead skin cells and beading up. If Gel doesn’t liquefy, wait an additional 60 seconds and then begin to rub in a circular motion. STEP 3: Continue rubbing in a circular motion as beads accumulate and remove surface impurities. STEP 4: Rinse with warm water and pat dry. Close container immediately following use.